Please click the link to download the book. A major objective of the COPD Association is to promote and support scientific research on COPD and related illnesses. Included below are several major research studies related to COPD that have been conducted in Singapore. Frequent hospital readmissions for acute exacerbation of COPD and their associated factors. Respirology. 2006 Mar 11(2):188-95. 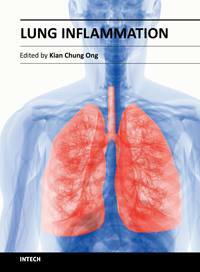 This recent publication assesses the factors associated with the high hospital admission rate for COPD in Singapore. Does the multidimensional grading system (BODE) correspond to differences in health status of patients with COPD?Int J COPD 2006; 1(1):91-96.This study discusses the utility of the new classification system for COPD (BODE index). A multidimensional grading system (BODE index) as predictor of hospitalization for COPD. Chest. 2005 Dec;128(6):3810-6.The BODE index is a new system of classifiying the severity of COPD. This is the first study that assesses the utility of the BODE index in predicting how often a COPD patient will require hospitalization for his or her condition. Comparison of different exercise tests in assessing outcomes of pulmonary rehabilitation. Respir Care. 2004 Dec;49(12):1498-503 This latest study compares the 3 most frequently utilized exercise tests in pulmonary rehabilitation. Effects of inhaled furosemide on exertional dyspnea in Chronic Obstructive Pulmonary Disease. Am J Respir Crit Care Med. 2004 May 1;169(9):1028-33. In this study, a widely available and inexpensive medication commonly used for diuresis (removing excess fluid from the body) has been found to possibly reduce the breathlessness that COPD patients feel during exercise, if the medication is inhaled instead of administered the usual way. Predictors of success in smoking cessation among hospitalised patients. Ann Acad Med Singapore. 2003 Sep;32(5 Suppl):S67-9. This study found that, among other factors, patients hospitalised for the first time are more likely to quit smoking when they are given smoking cessation counselling and advice during and following their hospital stay. Reducing hospitalisation for acute exacerbation of COPD with a Home Care Programme. Proceedings of the 8th Asian Pacific Society of Respirology Congress, page 15-18 . A home care programme initiated for the first time locally to help COPD patients manage themselves at home during and following periods of worsening of their condition shows success in reducing hospitalization for this condition. Factors associated with improvement in breathing capacity during exercise in patients with chronic obstructive pulmonary disease. Respirology 2003; 8:332-8. This study describes the various physiological factors limiting COPD patients' ability to undergo exercise. 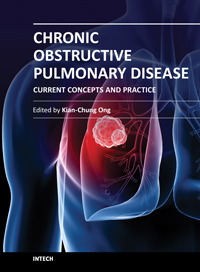 Effects of a Pulmonary Rehabilitation Programme on Physiologic and Psychosocial Outcomes in Patients with Chronic Respiratory Disorders. Ann Acad Med Singapore 2001; 30:15-21. This study describes the success of the first patients to undergo pulmonary rehabilitation in Singapore. Cardiopulmonary Exercise Testing in Patients with Chronic Obstructive Pulmonary Disease Ann Acad Med Singapore 2000; 29:648-52. The various factors that limit COPD patients' ability to exercise are investigated in this study. Active Management of a Patient with End-stage Pulmonary Emphysema using Lung Volume Reduction Surgery and Intensive Rehabilitation. Ann Acad Med Singapore 2000; 29:127-31. This is a report of one of the first COPD patients to undergo lung volume reduction surgery in Singapore. COPD prevalence in 12 Asia-Pacific countries and regions: projections based on the COPD prevalence estimation model. Respirology. 2003 Jun;8(2):192-8. This study done around the Asia-Pacific region looks at how many people are estimated to have COPD. Epidemiology of respiratory viruses in patients hospitalized with near-fatal asthma, acute exacerbations of asthma, or chronic obstructive pulmonary disease. Am J Med. 2003 Sep;115(4):272-7 . An interesting comparison is done to compare the different respiratory viruses present in patients with asthma and COPD.